I can’t believe it’s been two years since this happened! Time to revisit my Glimpses of God posts. I often feel more evidence of God’s presence during difficult times. Maybe I’m just more aware of what actually goes on around me every day, or my radio dial gets tuned in quicker during trauma. Maybe I just pay more attention when my legs get kicked out from under me. Labor Day weekend was my 35th class reunion and my high school besties and I decided to make a girls weekend of it. We got stranded in a bar for several hours (a long and humorous story for another time) and played the game, “Tell me a Story.” This is a game I invented when I was young to entertain my little sister on long road trips. In this game, someone gives you a word or phrase and you have to tell a true story about your life related to that prompt. My friend gave me the word “Terror.” I laughed and said, “I’m not sure what the story will be, but I’m positive it will have something to do with my kids.” Kids have a way of pushing our fear buttons faster than anything I can think of. Driving home from the weekend, I got a first-hand look at another form of terror. I was driving up the Sierra Nevada Mountains at night when I came upon a pick-up truck stopped in my lane with no lights on. Instant decision: plow into him or try to miss him. I swerved left, over corrected right and plowed head on into the guard rail at 65 mph. I won’t go on about all that happened next. I won’t tell you how I found out the guy in the truck was a four-time DUI offender and plastered. I won’t tell you about his wasted female passenger who I thought was coming up to ask if I was okay, but instead asked for a ride to the next town. Or the sheer miracle of how I walked away alive and unbroken even though my car was totaled and sitting in the same lane as the truck. I will say that I finally had the clarity to get out of my car and onto the side of the road. Then Brain-Trust in the truck opened his door so an oncoming car could take it off and fling it at me. At that moment I had an epiphany: I felt terrified! I knew that if I ever got asked that question again playing Tell Me a Story, I’d have an answer. But, I do want to mention a glimpse of God I got that night. The tow-truck driver dropped me and all my worldly goods, including my grand-baby’s car seat, at an all-night gas station in a small mountain town. It was a warm night and there was a man sitting on the bench where I was deposited. 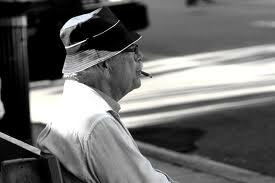 He was sipping a soda and smoking a cigarette. After noting my arrival he asked if there was a baby in the accident. I assured him there was not and we started chatting. It was very comforting to have someone to talk to. He told me of his life as a journalist in the bay area. After about an hour I asked, “Why are you here?” I mean, it was about nine-thirty by then and he seemed content to sit and talk to me. He said he managed an apartment complex down the road and came here to get away from the noise. As the temp cooled he even got me a shirt from his car to cover my bare arms. When my frazzled husband arrived around ten-thirty, my nameless angel got up to leave. “Thank you for staying with me,” I said, knowing that sentiment was inadequate for the situation. “I just wanted someone to be with you until your husband arrived,” he said, shrugging as he walked away – just an every-day hero, just a glimpse of God. I wondered as we drove away, if he was real or a soda sipping, cigarette smoking angel? It didn’t matter, he was exactly what I needed in that moment and I was grateful. There is a part two to this story, where the terror and the glimpses both crank up about a hundred notches. If you are a careful reader you will know where this is headed. But…since I’m still in the middle of this one I think I’ll wait a bit for that post. Let me know of times you’ve seen glimpses of God.